Fight back against rough mornings with a strong cup of coffee and the White Knuckle Duster Ceramic Mug from Fairly Odd Novelties! 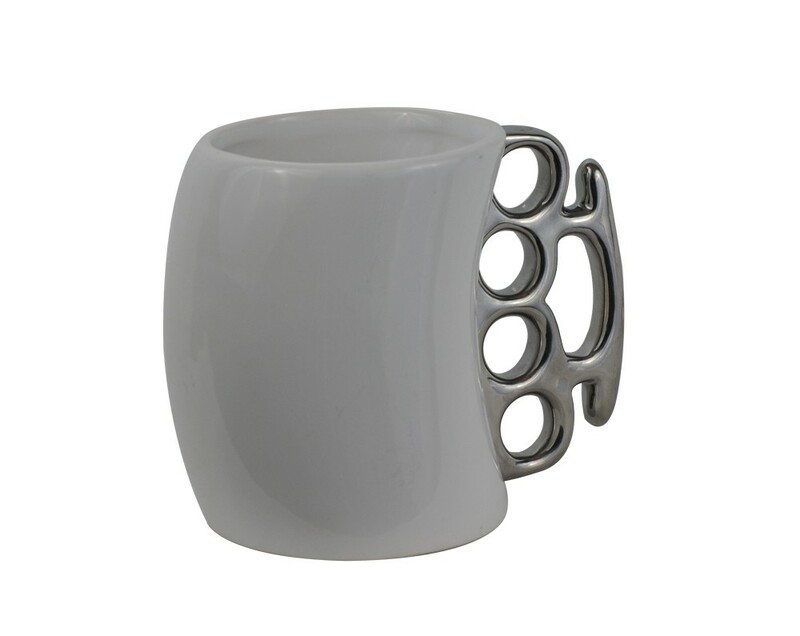 If you're tired of sleepiness giving you a beat-down at home or the office, take matters into your own hands with this brass knuckles-inspired mug. Square up with even the toughest of mornings! Fight back against rough mornings with a strong cup of coffee and the White Knuckle Duster Ceramic Mug from Fairly Odd Novelties! If you're tired of sleepiness giving you a beat-down at home or the office, take matters into your own hands with this brass knuckles-inspired mug. Its handle is sleek and realistic, letting everyone know you mean business at all times. Feel the power of your favorite coffee, tea, cocoa, or other hot beverage with your hands wrapped in this gangster staple. This mug makes a perfect gift for the tough guy or girl in your life, and is sure to be a knockout at any birthday, white elephant, office, or secret Santa party. Order yours today and get ready to square up with even the toughest of mornings! Mug is made of black ceramic. Comes in a black and white, gift ready box. Dimensions measure 4.00" x 4.80" x 3.50". Knuckle handle does NOT detach from mug, DO NOT USE AS A WEAPON.